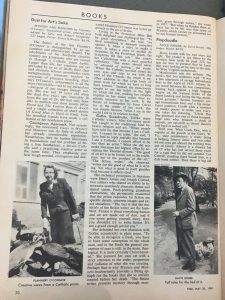 Rose Library Blog | Suspense in the Archive, or: Did the Mid-Century Avant-garde Have a Southern Accent? 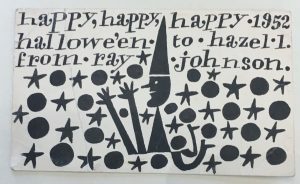 Suspense in the Archive, or: Did the Mid-Century Avant-garde Have a Southern Accent? In July 2018, Dr. Anna Ioanes conducted research at Emory’s Rose Library as a recipient of our Short Term Fellowship program. Dr. Ioanes is Assistant Professor of English at the University of St. Francis. Archival research can be a suspenseful experience. The researcher turns pages and opens boxes, hoping to find something that is yet unknown. There are “too many papers to sift through” and there is always “something left to find” (Kaplan 103). During my short-term fellowship at the Rose Library, I experience that feeling of suspense all the more acutely, since it was also the topic of my research. I set out to study surprise: when I proposed my research project, I wrote that I would examine Flannery O’Connor’s correspondence and selected mid-century avant-garde writing from the Raymond Danowski Poetry Collection to track how an array of mid-century writers and artists represented violence in order to provoke surprise in their audiences. 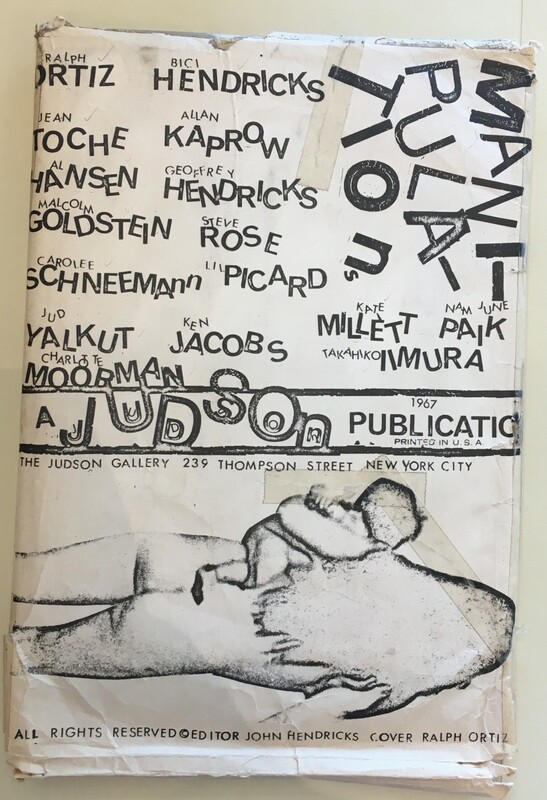 After poring through the years-long correspondence between O’Connor and the experimental playwright Maryat Lee and leafing through detailed documentation of performance art “happenings” at New York’s Judson Gallery, I realized my topic was not surprise, but suspense. That feeling of waiting for the surprise to come, to truly know what you only suspect you know. The feeling of archival research, in my case, helped clarify the topic I was studying. I am at work on a book project that defines five forms for representing violence in post-1945 American fiction and art, and I visited the Rose Library to conduct archival research for the third chapter in that project. Bringing O’Connor’s fiction into conversation with mid-century performance art, especially that of Yoko Ono, the chapter defines the “happening” as a form for cultivating audience suspense. Like O’Connor’s short stories, which introduce the possibility of violence and encourage readers to wait and wonder what will befall her characters, performance art happenings provoke simultaneous feelings of anticipation and surprise. A happening is a live performance often structured around rules or procedures, encouraging audience interaction in an art experience that is ephemeral. Often attributed to Allan Kaprow, who was creating interactive art scenarios in the late 1950s, the “happening” label has also been applied to the performances of composer John Cage, who explored the use of randomness and chance in his musical compositions and influenced the Fluxus art collective. Yoko Ono, a member of Fluxus, called her procedures “scores,” echoing the happening’s roots in music composition. Ono’s 1964 performance Cut Piece, in which audience members are invited to snip off bits of Ono’s clothing with scissors, crystallizes the potential for violence that facilitates the suspense of the happening. The happening encourages a feeling of suspense in which audiences simultaneously know, and don’t know, what is about to happen. Why draw Flannery O’Connor, who is known as a Southern, Catholic writer famous for her grotesque and violent characters, into the orbit of the early performance artists staging happenings in downtown New York? Although O’Connor certainly spent time in New York City, she hardly overlapped with the experimental scenesters downtown. I came to the archive half-expecting to find only further evidence that O’Connor belongs in rural Milledgeville, and creators of happenings belong in New York—that no one has ever put these figures in conversation because they truly have nothing to talk about. And indeed, in an undated draft titled “Questions for the Critic,” O’Connor herself seems to draw a sharp distinction between what she does and what experimental artists do, writing: “So-called experimental fiction always bores me. If it looks peculiar I don’t read it.” I looked for mentions of the Beats and other avant-garde figures in O’Connor’s correspondence and found only a few: in talks and notes she mentions the Beat writers, Picasso, and “the very vocal writers from San Francisco” (“Talk Delivered at GSCW”). I also sought evidence that experimental writers and artists (especially Jack Kerouac, Allen Ginsberg, Diane di Prima, and William S. Burroughs) read O’Connor and found next to nothing. But influence is not the only relationship the archive can reveal. 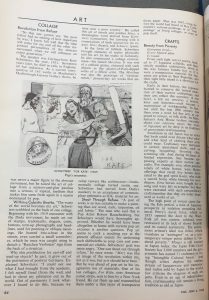 In her 1990 essay “Working in the Archives,” the scholar of French literature Alice Kaplan theorizes the chance encounters and happy accidents that characterize archival research, giving voice to the personal stories of the archive that are typically excised from published scholarship (104). Kaplan acknowledges that to reveal the processes of archival research, and the emotions that attend them, might “threaten” the “credibility” of the scholar’s narrative “by showing on what thin strands of coincidence, accident, or on what unfair forms of friendship, ownership, geographical proximity, the discoveries were based” (104). Even if they go unacknowledged, however, these “unfair forms” construct archives and archival experience, revealing affinities and connections that are significant, even if they are tenuous. The “unfair forms” of archival evidence that Kaplan names strike me as particularly apt terms for telling my story of the Rose Library archives. This story places Flannery O’Connor in a new context, bringing her into conversation with an experimental ethos that developed in the midcentury avant-garde. Forms of “friendship, ownership, [and] geographical proximity” resituate O’Connor in a broader mid-century context that was fascinated by new aesthetic formations characterized by chance and suspense, by live performance that blended art, theater, music, and dance. These connective threads draw the Southern O’Connor into a network of avant-garde performers and writers who are concerned with narrative strategies for inducing suspense and depicting violence. Rather than claim a relationship of influence between O’Connor and avant-garde figures like Maryat Lee, Cage, and Ono, I argue that these mid-century artists replicated O’Connor’s interest in violence, representation, and time through narrative and performative structures of creating suspense. One of the strongest ties that links O’Connor to the experimental aesthetic movements of her time rests in her friendship with the playwright Maryat Lee, whose brother was president of Georgia State College for Women while O’Connor was living in Milledgeville. Lee was living in New York, where she produced one of the first modern street plays, Dope!, in 1951 and founded the Soul and Latin Theatre in East Harlem in 1965. Beginning in 1957, O’Connor and Lee kept up a regular correspondence that lasted for the rest of O’Connor’s life. In the collection of O’Connor’s letters that she edited, Sally Fitzgerald notes that O’Connor and Lee often discussed race and religion. 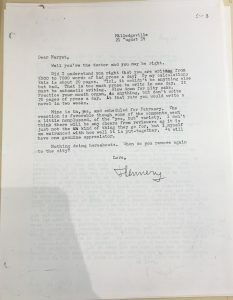 Their correspondence, however, is also peppered with mentions of “automatic writing” (in a letter from O’Connor to Lee dated August 21, 1959), contemporary art, and the writing process. 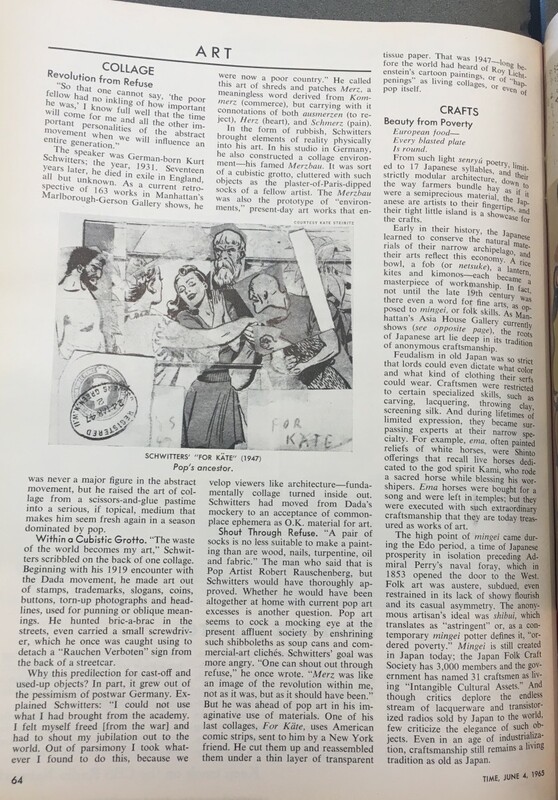 In October of 1959, Lee sent O’Connor a review of “the new show at the Museum of Modern Art.” The review has been lost, but a look at the MoMA’s digital archives suggests that it might have focused on the work of Buckminster Fuller, Alexander Liberman, or Ronnie Silbert, or on the museum’s new acquisitions. Although such mentions are only glancing, the sheer volume of letters between O’Connor and Lee places O’Connor in a network that has roots in the New York experimental art world. O’Connor’s work was frequently adapted for the stage, and she often spoke of her process in terms of dramatic performance. Like one of Lee’s street theater performances or even one of Allan Kaprow’s happenings, “a piece of fiction,” as O’Connor put it in a draft of “How the Writer Writes,” “must be very much a self-contained dramatic unit”—one that, for the writer, “is an experience, not an abstraction.” In turn, O’Connor also guided Lee in her artistic development, and their correspondence encouraged Lee to explore new possibilities for theater in the South. In 1970, Lee moved to Hinton, West Virginia and founded Ecotheatre, a performance collective composed of Hinton residents who wrote, staged, and acted in plays performed outdoors. Troubling the boundary between performance and identity, art and life, Lee also rejected the distinction that would separate the rural South from a cosmopolitan set of aesthetic values. 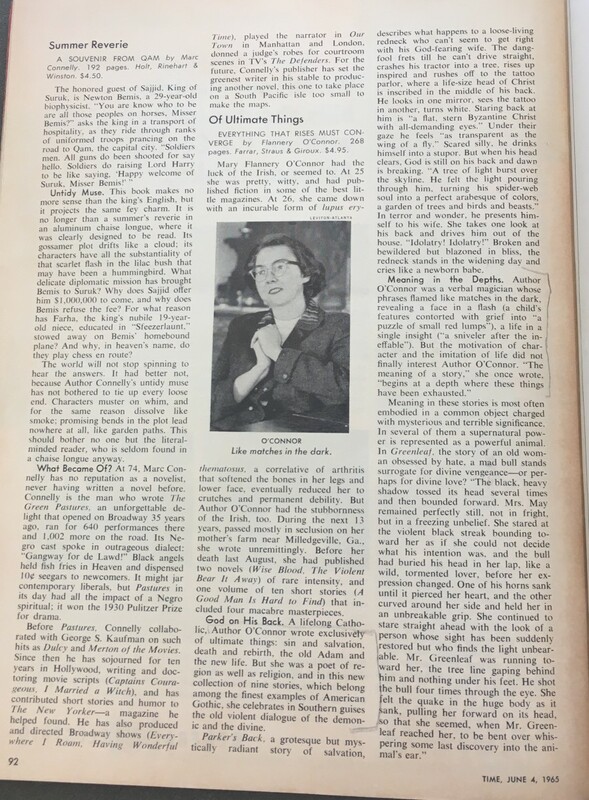 Flannery O’Connor was not so cloistered in Milledgeville as we might think; she was part of a more cosmopolitan, national literary scene that very much included avant-garde figures of the day. Robert Giroux, her editor, also worked with Jack Kerouac to publish The Town and the City, though he rejected On the Road. Though her stories take place in the South, their creation and circulation took place against a larger backdrop of America in the 1950s and 60s, where counterculture movements and experimental artworks were increasingly familiar to a mainstream audience. 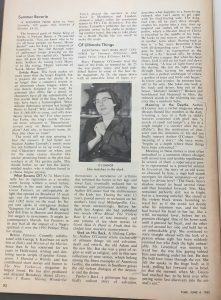 In the June 4, 1965 issue of Time, for example, the magazine reviewed both O’Connor’s collection Everything That Rises Must Converge and a retrospective of Kurt Schwitters, mentioning “happenings” at the end of the review. 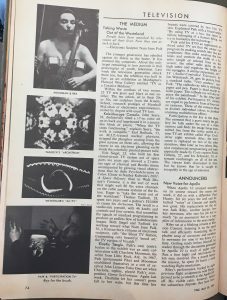 Similarly, the May 30, 1969 issue of Time includes a review of O’Connor’s Mystery and Manners as well as a brief in the “Television” section about an art show that uses TV as a medium—the show includes a performance by Charlotte Moorman and Nam June Paik (who are compared to Yoko Ono and John Lennon) in which Moorman wears a TV bra and plays the cello. The “Music” section of this issue also includes a review for John Cage’s Hpschd. These issues of Time suggest that the same readers who were interested in O’Connor’s short tales of grotesque violence were also learning about the performance- and chance-based work of Cage, Paik, and Moorman. This zeitgeist, with its interest in chance occurrences and artistic forms of cultivating suspense, comes into view when examining the expansive Danowski collection, which Kevin Young has characterized as “a library of the twentieth century” (Roberts). The Danowski collection vividly illustrates the power of ownership to both reveal and forge networks in an archival collection. 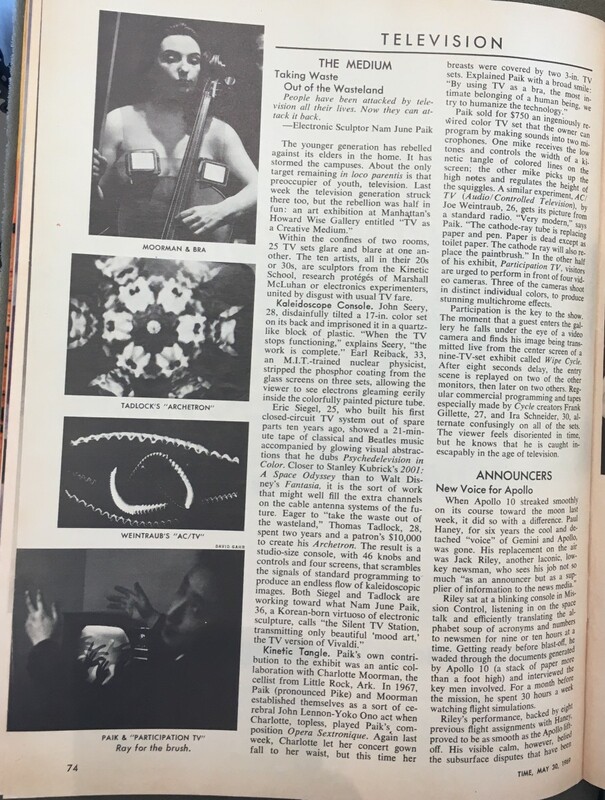 Not long before his Opera Sextronique was being discussed on the pages of Time, Nam June Paik was performing at the Judson Gallery alongside figures including the feminist artists Kate Millett and Carolee Schneeman as well as Allan Kaprow and Charlotte Moorman. Although she didn’t appear in the 1967 Manipulations performance documented in the Danowski collection, Yoko Ono was also a performer at the Judson Gallery. The potential for violence was often latent in chance-based performance pieces, but it erupts in Ono’s Cut Piece, where Ono makes herself vulnerable to the whims of audience members by placing scissors on the stage and instructing the audience to cut pieces of her clothing from her body. With its resonance of sexual vulnerability and violation, Cut Piece brings a weapon to the happening, a gesture that is echoed in both Chris Burden’s Shoot (1971), in which the artist is shot in the arm by a friend in the gallery space, and Marina Abramovic’s Rhythm 0 (1974), which invited audience members to use one of 72 items on Abramovic in any way they wanted—among the 72 items were a pair of scissors and a loaded gun. What a comparison with O’Connor’s scenes of violence reveals, however, is the fact that narrative control is never fully relinquished, even in chance-based compositions. Shoot was tightly choreographed, Ono determined the beginning and end of Cut Piece, and Rhythm 0 ceased when audience members became too aggressive. The happening is a form characterized by suspense insofar as it toggles between chance and control, narrative cohesion and random experience. Although O’Connor lived in her hometown of Milledgeville from 1952 until her death in 1964, she also spent stretches of time in New York, Connecticut, and Iowa. 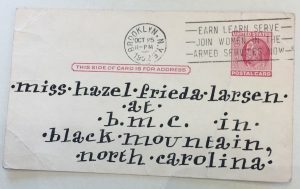 Like Maryat Lee, who left Harlem for West Virginia, major avant-garde figures including John Cage and Robert Rauschenberg headed South, to Black Mountain, North Carolina. Cage, who pioneered chance-based composition practices, is a central figure in the story of a mid-century aesthetics of suspense. Indeed, his Theatre Piece/Black Mountain Happening (1952), which included participants from across the arts including the architect Buckminster Fuller, the choreographer Merce Cunningham, poet Charles Olson, and the visual artist Robert Rauschenberg, has been characterized as the first performance art happening. Viewed alongside O’Connor’s time living in the Northeast and Midwest as well as Maryat Lee’s Appalachian Ecotheatre, the activity at Black Mountain College suggests that the midcentury avant-garde developed not just on the coasts, in New York and San Francisco, but in the rural South. Figures of the avant-garde moved between these spaces, and materials from the Danowski poetry library highlight under-acknowledged nodes in avant-garde networks. 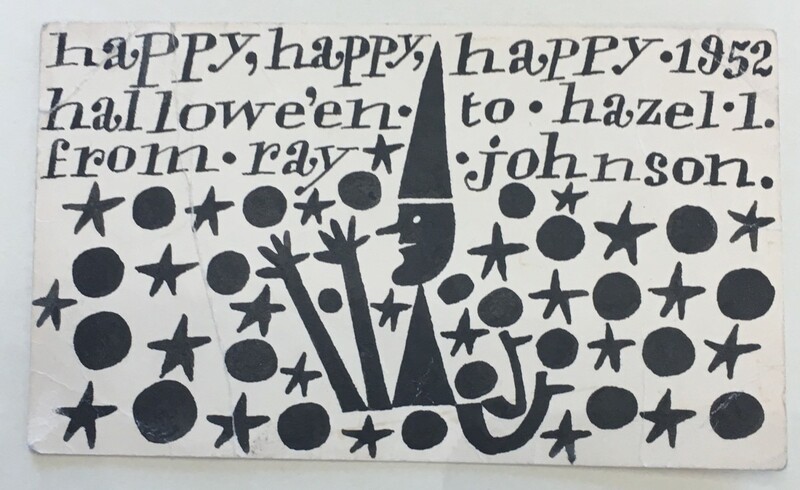 Both Rauschenberg and the experimental artist Ray Johnson regularly corresponded with the photographer Hazel Larsen Archer, who was living and working in Black Mountain, in the early 1950s. 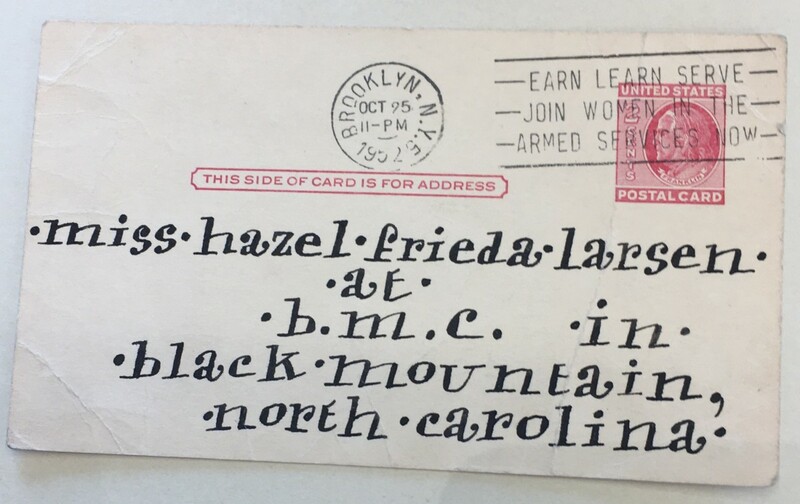 Material from the Danowski Collection highlights the networks forged between the New York experimental scene and the artist’s community in Black Mountain College, North Carolina, a linkage that echoes O’Connor and Lee’s long correspondence. As Kaplan notes, the unfair forms of archival connection—the social, spatial, and material networks that can be traced in a collection—can lead us to new understanding of the texts themselves. Although I did not find the networks of influence I sought at the Rose Library, I did find a portrait of mid-century American culture in which “mainstream” writers were discussed in the same venues as experimental performance artists, artists moved between the Village and Black Mountain, and Flannery O’Connor was writing and thinking along with Maryat Lee. These networks provide a scaffold for aesthetic and affective convergences between O’Connor’s tightly-constructed narratives of explosive violence and the chance-based compositions that began with John Cage and culminated in performance art with the real possibility of harm. This project began with resonances between O’Connor’s fiction and the performance art of Ono and Burden: reading “A Good Man is Hard to Find,” I saw The Misfit shoot the grandmother and thought of Burden’s friend shooting him in the arm. When Manley Pointer makes off with Hulga’s prosthetic leg in “Good Country People,” I envision creepy art-bros, leering at Yoko Ono while they snip too much clothing off of her body during the Carnegie Hall performance of Cut Piece. Across genres, these mid-century artists use the possibility of violence to provoke feelings of suspense. The narratives that unfold unpredictably in the performance space echo the building suspense of the short story. Reading chance-based performances alongside O’Connor’s fiction also highlights the many prescribed and controlled aspects of the happening. While very much outside the networks of coteries and influence shared by experimental figures like the Beats or Fluxus, O’Connor nevertheless shared an investment in manipulating audiences’ feelings of waiting for potential violence, wondering what could happen, anticipating a surprise to come, and experiencing narrative through time, in the tension of suspense. Cage, John. “Theatre Piece/Black Mountain Happening.” JohnCage.org. http://johncage.org/pp/John-Cage-Work-Detail.cfm?work_ID=313. French, William. “A Double-Threaded Life: Maryat Lee’s Ecotheatre.” TDR: The Drama Review, vol. 27, no. 2 (Summer 1983). 26-35. Kaplan, Alice. “Working in the Archives.” Yale French Studies, no. 77 (1990). 103-116. Roberts, Sam. “Raymond Danowski, Stockpiler of Poetry, is Dead at 74.” New York Times, 28 Feb 2018. https://www.nytimes.com/2018/02/28/nyregion/raymond-danowski-collector-of-75000-poetry-books-dies-at-74.html. O’Connor, Flannery. “How the Writer Writes.” Undated Typescript. Flannery O’Connor Papers, Box 1, Folder 1. Stuart A. Rose Manuscript and Rare Book Library, Emory University. —. “Questions for the Critic.” Undated Typescript. Flannery O’Connor Papers, Box 8, Folder 28. Stuart A. Rose Manuscript and Rare Book Library, Emory University. —. “Talk Delivered at GSCW.” 1960. 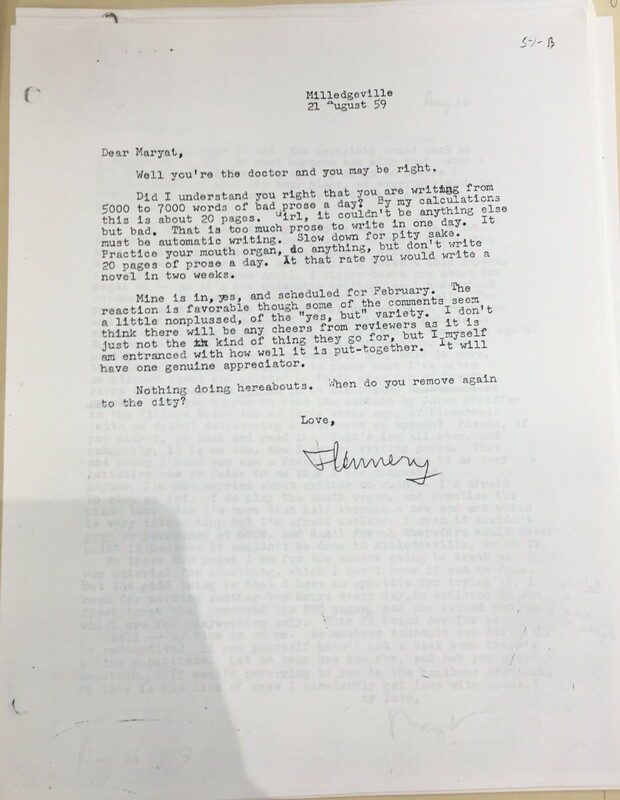 Flannery O’Connor Papers, Box 8, Folder 29. Stuart A. Rose Manuscript and Rare Book Library, Emory University.